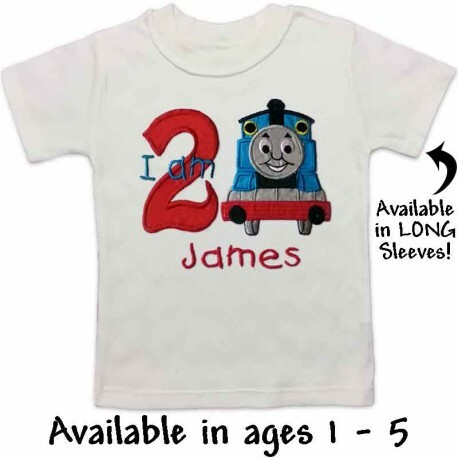 Your little one will love their new birthday train T-shirt! Personalized with his or her name makes it extra special. Perfect for boys or girls! Birthday clothing makes their party more special. Your little one wil love this shirt so much they'll want to wear it every day! Personalize Me! Enter your child's name in the product customization area below. If you don't want a name, enter "no name". Features: High quality embroidery in your choice of ages. 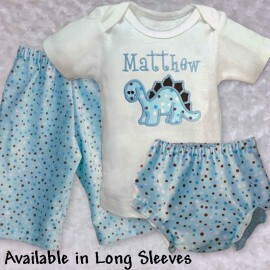 Size 6-12 month has a lap style neck. Fabric & Care: 100% Cotton or cotton blend. Machine washable.